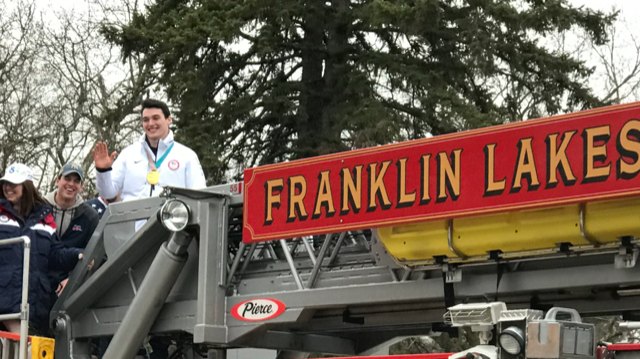 A wet spring day didn’t stop what seemed like the entire town of Franklin Lakes, NJ, from welcoming Jack Wallace this past Tuesday. 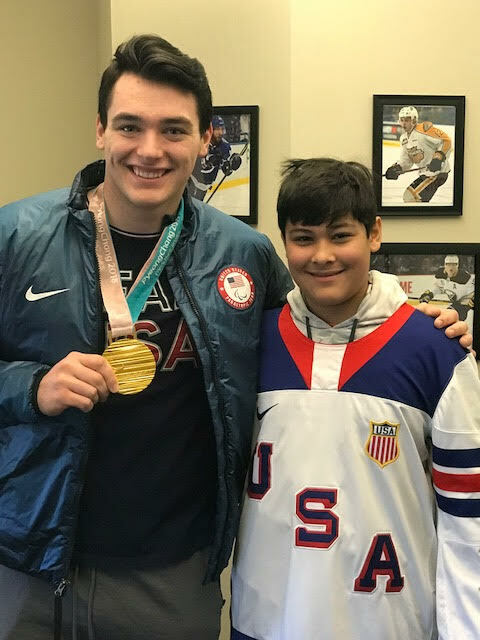 After all, it’s not every day that people meet a gold medalist who also happens to be their neighbor. Wallace and his USA Sled Hockey Teammates beat Canada, 2-1, in overtime in the final at the 2018 Paralympic Games in PyeongChang. Wallace was on the ice for the game-winning goal. The amazing moment was the culmination a journey, one that took turns Wallace never could have expected. Wallace’s first passion was hockey. He learned to skate at a young age and played competitively for travel teams in New Jersey. Wallace hoped to one day be good enough to compete at the highest levels of ice hockey. Then a freak boating accident in 2008, when he was only 10, seemed to sideline his dream. All of Wallace’s hard work paid off. Having a street named after him in his hometown, as well as a parade where he got to ride in on a firetruck, inspired everyone present. It was clear what an impact Wallace has made in the hearts and minds of the many kids who screamed his name and asked for selfies. Wallace has a bright future. When he isn’t studying for a degree in biomedical engineering, he is hoping to make the next Paralympic team, which will compete in Beijing in 2022. “I’d love to help Team USA get a fourth consecutive gold medal,” he says. “I want to be part of that legacy. But between now and then, I just to hope be able to play as many hockey games as I can."